Angelika Dallas: EXPELLED FROM PARADISE is an original full-length anime directed by Seiji Mizushima from Full Metal Alchemist fame. It's got a cool premise, which you can check out below: With Earth left in ruins following the Nano Hazard, most of humanity has abandoned the planet they once called home and rebuilt their digitalized minds into a society within the cyber universe of DEVA. But when DEVA’s central council detects unauthorized access of their mainframe, System Security Third Officer Angela Balzac is dispatched to the Earth’s surface to make contact with a local agent and uncover the hackers. Texas Theatre: EVENT OF THE WEEK! 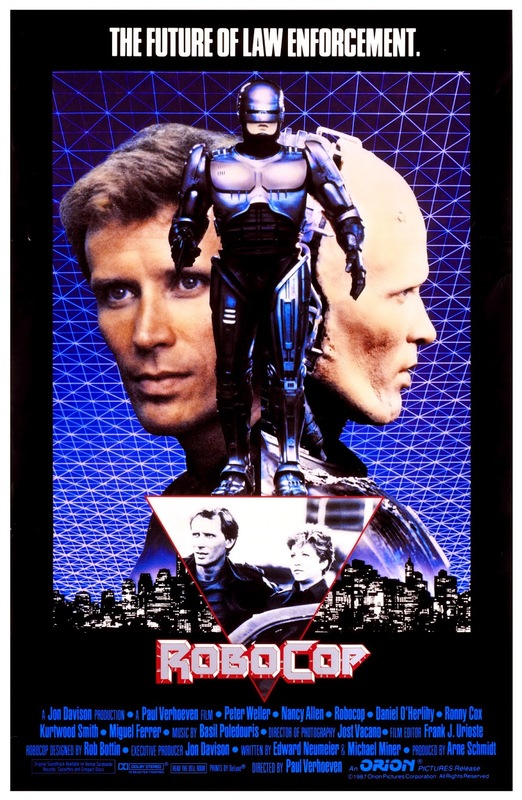 The movie that everyone thinks of when they think of Dallas movies, ROBOCOP will screen in a beautiful 35mm print at 7:30 pm. Given recent events, the satirical and allegorical aspects of the movie should be even more obvious. Texas Theatre: Stanley Kubrick's THE SHINING is one of the best psychological/supernatural horror movies that inspired so much iconography in pop culture. The Theatre will be screening this in 35mm starting tonight at 9:45 pm. IT'S A WONDERFUL LIFE, the depressing Christmas classic will also begin its run tonight at 7 pm. Alamo Drafthouse: Cartoon Cereal Party returns with its special Christmas edition at 10:30 pm. As always, these cartoons are hand picked by the local programmers and they are some of the best of the best of classic and contemporary cartoons plus, unlimited cereal! Alamo Drafthouse: If you didn't catch IT'S A WONDERFUL LIFE at the Texas Theatre, you can see it today at 12:30 pm. Angelika Dallas: And if somehow you missed the Texas Theatre and the Drafthouse's screenings, then you can catch IT'S A WONDERFUL LIFE at 2 pm.